Ryzom 3D MMORPG for Linux has removed lots of limits and caps for new players who want to play the game without a paid subscription. Instead, the developers have chose to keep a Level limit of 125 beyond which new players will stop getting experience points. This is a nice move as now it is almost free to play the game without any time or place limits. We are pleased to announce that from now on, players that create a new account can play Ryzom without time or place limits. Instead, free trial accounts are now limited to a maximum level of 125 in all different skills, enabling everyone to sample all aspects of Ryzom and to discover what makes this MMO unique. When you reach level 125 in a skill you can still continue playing, but you will gain no more experience points. The second limitation is storage: you cannot own any mektoub packers, use the inventory of your apartment or take any items from a guild hall. Ryzom is a free to play MMORPG for Linux with quite a dedicated community of RPG fans playing it everyday. 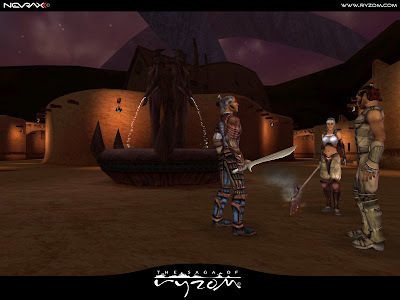 The game features rich 3D graphics, a level, class and skill based system, PvPs and Duels and feels like a virtual world with different and diverse ecosystems.